Businesses that would like to raise capital from family, associates, venture capital, family offices, and angels often need presentation development to sell their company and its projected profits effectively. Redstone Business Consulting Group could assist in development of a business plan, executive summaries, pro formas, and pitch practice that will entice an investor. Jason Jimenez owns and invests in an array of businesses that collaborate with and deliver services to local, national and international clients. 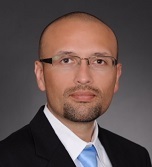 As a Managing Principal of Redstone Business Holdings, LLC, Mr. Jimenez Co-Leads the holding company�s subsidiaries. He serves as chief executive officer of Redstone Natural Resources, LLC, and Redstone Business Consulting Group, LLC. He secures domestic and international exclusivity and distribution agreements for natural resources, and delivers business consulting and financial solutions to clients in the United States and abroad. Mr. Jimenez owns Redwheel Logistics, which is a trucking/transportation company that supports oil fields by transporting earth, rock, and minerals. He owns Jason Jimenez Insurance Agency Inc. which provides property and casualty, commercial, Bonds, and individual / group health insurance. Mr. Jimenez is founder and chair of the International Resource Group (IRG), which is an organization comprised of midsize to large businesses that collaborate with domestic and international investors to invest in, expand and/or build business in the United States.